Civil servant, educator, community activist. 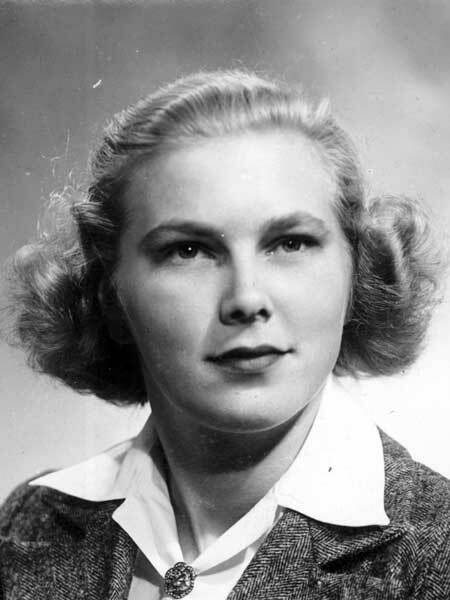 Born in Alberta on 10 February 1925, daughter of Anne Farquharson Patteson and Granville Lovejoy Bayer, she was raised in Manitoba, graduating from Kelvin High School in 1943. She served as Executive Director of the Volunteer Bureau and the Manitoba Centennial Corporation, founding Executive Director of the Manitoba Arts Council, founding President of Heritage Winnipeg, and founding member of the Assembly of Arts Administrators. She pioneered adult daytime television programming and served as the provincial government’s first woman Assistant Deputy Minister. At the national level, she was President of Heritage Canada, member of the National Executive of the Girl Guides of Canada, member of Charlottetown’s Confederation Centre for the Arts, and the Canadian Commission for UNESCO. She also served on the selection committees for the Rhodes Scholarships and the Royal Bank Award. She served on the Historic Sites Advisory Board of Manitoba (1971-1974). After retiring to Victoria, British Columbia in 1980, she served as Chair of the Greater Victoria Library Board, founding member of the Greater Victoria Arts Commission, Executive member of the Provincial Capital Commission, member of the Honorary Board of the Victoria Foundation, Chair of the British Columbia Heritage Society, and founding Chair of the province-wide arts and heritage advocacy group, Culture Acts Now. Her numerous awards include an honorary doctorate from the University of Winnipeg (1975), MHS Centennial Medal (1970), University of Manitoba Distinguished Alumni Award, Girl Guides of Canada Merit Award, and Queen Elizabeth II Silver Jubilee Medal (1977). In 1994 she was appointed a Member of the Order of Canada and in 2000 she was named an Honorary Citizen of Victoria. She was the 2004 recipient of the Woman of Distinction Award for Lifetime Achievement and in June 2005 received the British Columbia Heritage Award. She died on 7 September 2005. Obituary, Winnipeg Free Press, 15 September 2005. We thank David McDowell for providing additional information used here.